Mars 2020 is a Mars planetary rover mission planned by NASA with a launch in 2020. 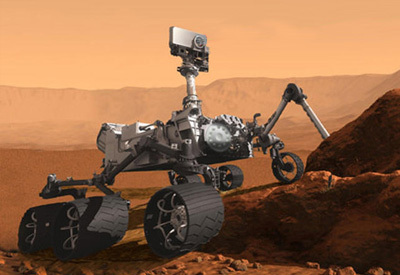 The mission will address key questions about the potential for life on Mars. The mission would also provide opportunities to gather knowledge and demonstrate technologies that address the challenges of future human expeditions to Mars. Mars 2020 will be based on the Mars Science Laboratory (Curiosity) design, but feature a different instrument suite. 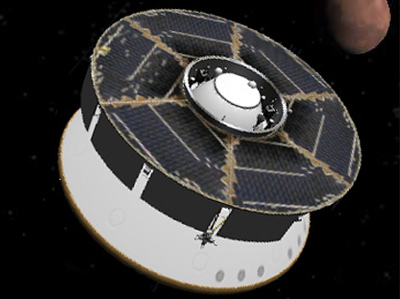 PIXL (Planetary Instrument for X-Ray Lithochemistry), an x-ray fluorescence spectrometer to determine the fine scale elemental composition of Martian surface materials. RIMFAX (Radar Imager for Mars' subsurface experiemnt), a ground-penetrating radar. MEDA (Mars Environmental Dynamic Analyzer), a set of sensors to provide measurements of temperature, wind speed and direction, pressure, relative humidity and dust size and shape. 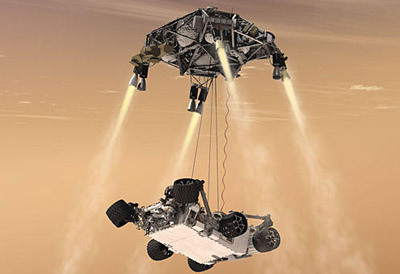 MOXIE (Mars Oxygen ISRU Experiment), an exploration technology investigation to produce oxygen (O2) from Martian atmospheric carbon dioxide (CO2). SuperCam, an instrument to provide imaging, chemical composition analysis and mineralogy in rocks and regolith from a distance. Mastcam-Z, a stereoscopic zoom imaging system. SHERLOC (Scanning Habitable Environments with Raman and Luminescence for Organics and Chemicals), an ultraviolet Raman spectrometer usingfine-scale imaging and an ultraviolet (UV) laser to determine fine-scale mineralogy and detect organic compounds. A 1.8 kg flying helicopter drone fitted with counter-rotating blades, on-board autonomy, and a lightweight carbon-fiber fuselage will be carried on this mission. The Mars Helicopter will test the viability of aerial reconnaissance, scouting and scientific exploration from a flying rotorcraft. It will be the first demonstration of takeoffs and landings by a heavier-than-air vehicle in the atmosphere of another planet. The rotorcraft’s 30-day test campaign will include up to five flights, with each hop attempting longer travel distances of up to a few hundred meters and durations of up to 90 seconds. The drone will carry two cameras, one for navigation, and another for higher-resolution color aerial imagery. In July 2016, an Atlas-5(541) was selected as the launch vehicle.